Naturally, as someone striving to improve your life every day, you are probably already familiar with Earl's works: Lead the Field, The Strangest Secret. Both amazing achievement programs. But The Essence of Success exists on a whole new level — a Master Class Level! To start, whereas most personal development programs take from six months to a year to produce, The Essence of Success took a full 36 years to produce, polish, and perfect! That's because our team exhaustively reviewed more than 700 hours of Earl's writings and broadcasts, allowing only his most powerful and results-driven ideas to make the final cut. There's zero fluff. And it's certainly not a rehash of Lead the Field. From start to finish you benefit from original, life-transforming ideas that will electrify your future! With a program of this caliber, you'll find MORE motivation and MORE life-changing strategies. It helped shape my success and can do the same for you. To this day, I attribute so much of who I am to The Essence of Success. 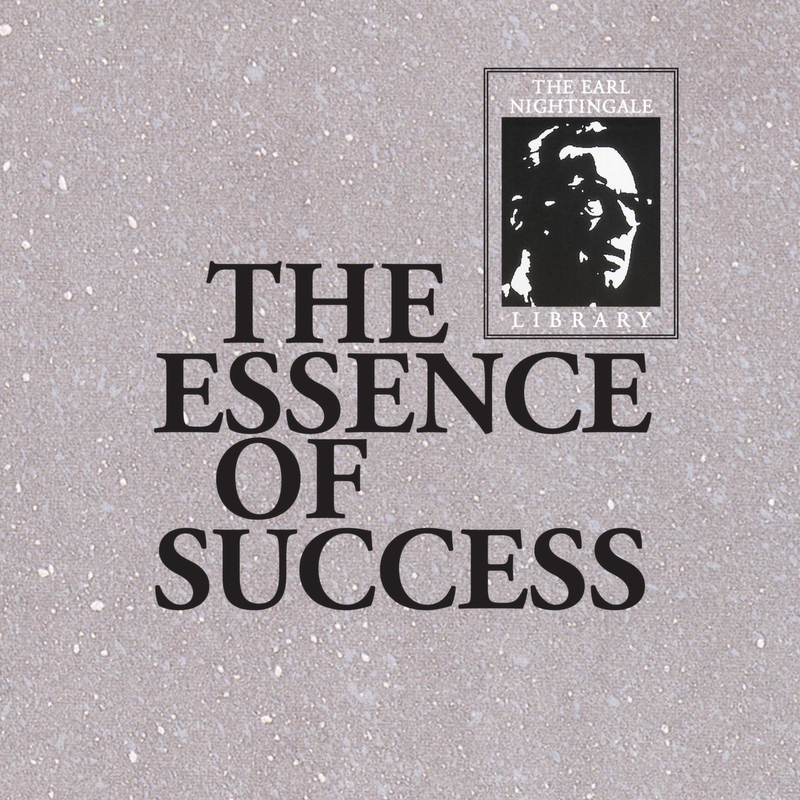 Much of my own success is a direct result of Earl's "automatic pilot" goal-achieving strategy... my abundance of friendships can be attributed to Earl's "magic marble" method... and I am fortunate to have made a comfortable living for myself by using the sophisticated yet simple "law of increase." As a Nightingale-Conant customer, I'm sure you have already built a remarkable life for yourself. But, because you are a customer, you naturally want MORE. This priceless program offers exactly what you need. It's as if The Essence of Success was designed specifically for you... and believe me, it was! You'll learn how to take your courage and self-esteem to a whole new level... how to be even more creative, generating phenomenal ideas one after another... how to find even grander opportunities and achieve them to perfection... how to cultivate perpetual happiness... and so much more! You've ordered personal development programs from us before. But you've never before ordered what is essentially an entire personal development library. Now you CAN! You'll benefit from a total of 20 CDs! That's right, this exclusive level of achievement doesn't happen in one night. But if you commit to listening to these CDs, maybe even just one CD a week, you'll reach and even far exceed your highest potential. They are just that powerful. I am positive you will benefit in so many ways from this offer, and, in turn, your personal growth will positively impact others. Please take me up on my recommendation. Of course, as always, if this program doesn't live up to the promises that I've made (but I know it will), you may return it and owe nothing... no questions asked. I want to make my mark on the world starting today by learning Earl's powerful must-know strategies! The Essence of Success at the special price below. — I can select one of two ways of ordering.